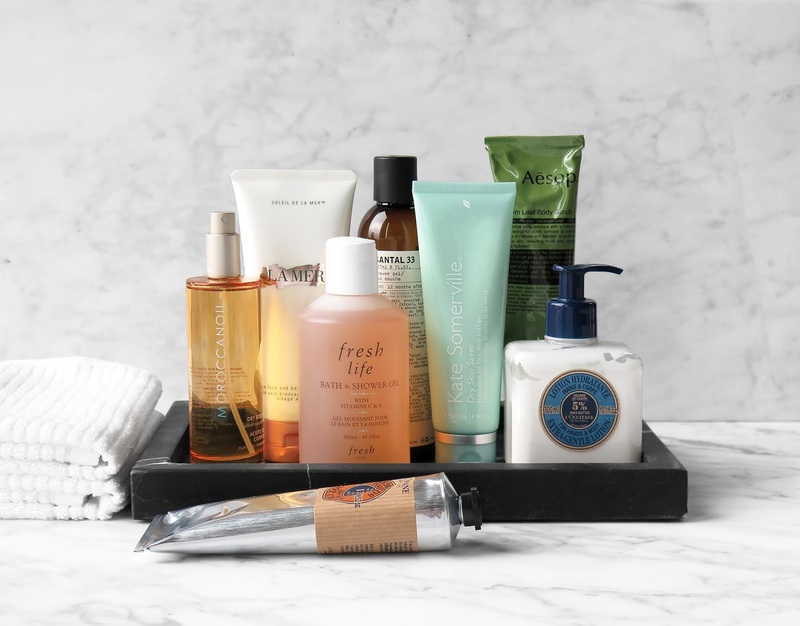 A growing number of readers have asked for more reviews on clean beauty and I was thrilled to partner with Farmacy Beauty to try more from the line. I’ve tried and loved a few items from the line before including their Green Clean, Honey Potion and Green Screen but was really excited to learn more about the other products in their lineup. As many of you already know, I love trying a wide range of skincare to help with different issues as I age and have adapted to different climates, but am really particular about what I use. The Farmacy Beauty philosophy is something that has really impressed me – as a brand they care about the environment on all aspects of their products, from how it’s made, ingredient sourcing all the way to the packaging. Their “clean” philosophy means their products made with gentle, safe and non-toxic ingredients. They are paraben free, formaldehyde donor free, synthetic fragrance free, mineral oil free, phthalate free and also cruelty free. You can read more about that here. I have six products I want to talk about today. After putting new to me products to the test for several weeks now I have found some solid winners. Up first are three things that I’ve used for nearly a year now and really liked. The Green Clean Makeup Meltaway Cleanser is gentle cleansing balm that removes makeup and impurities. It’s made with Echinacea Greenenvy which is a patented plant the team discovered in New York. The plant has 300% more natural antioxidants compared to regular Echinacea which helps support collagen production, improve hydration and reduce the appearance of fine lines. It’s a solid balm that melts into the skin once you massage it. It feels like a creamy oil once you start working it into the skin and removes all traces of face makeup after your rinse with warm water. As much as I really love traditional cleansing oils I find solid cleanser balms a lot easier to use and less messy. There’s no drip from your hands to the elbows and it also solves the issue of oil running into your eyes on accident. With other balms I often have to do two rounds to remove longwear makeup. This one takes off everything in one go. The packaging has a removable plastic lid with a place holder for the spatula which is perfect for people like me. I’m always misplacing spatulas! One 90 ml jar will last a long time. It also comes in a smaller 50 ml option. The Honey Potion Renewing Antioxidant Hydration Mask is probably one of their best-known products and happens to be the only honey-based face mask I have tried that I actually like. Since it is made of rich honey and hydrating it is thick and gooey but it spreads easily with their metal magnetic spatula. I truly appreciate the fact the spatula sticks to the lid so it stays in place. With this one you massage into the skin and it turns into a white color and warms up on the skin. Leave it on for 15 minutes and then rinse off. Most of my masks are clarifying or purifying, but this one is one of the few hydrating masks I like that does not leave a film. Skin is left very smooth, supple and fresh looking. There are two sizes which includes a 1.7 oz/50 g and a 4.1 oz/117 g jar. The Green Screen Daily Environmental Protector is a sunscreen with SPF 30. It’s a non-greasy sunscreen that is white in texture but disappears completely once blended. Long-time readers know I’m really particular about all sunscreens. Any white cast is a no-go for me and this one works perfectly even on my olive/tan skin. Active ingredients include Titanium Dioxide 2.4% and Zinc Oxide 5.82%. I found that it works well alone on non-makeup days but also layers really well with their Honey Drop Moisturizer and the combination isn’t heavy, even if I add foundation on top. Below I have it all over the face and also swiped heavy on the cheeks. There’s no white cast once blended, it disappears 100%! I also did not see any white flash back when photographed with a flash. Next are three new to me things that I’ve tried. One is the Clean Bee Ultra Gentle Facial Cleanser. This is something I bought a few months back and have been using it on a regular basis. I’m halfway finished. I am a cleanser fanatic – especially with the Florida heat, I clean my face more frequently than the average person because of the sweat, heat and humidity. I rotate depending on what time of day or when I’m cleaning, but I always clean in the morning. Before a workout if I’m wearing makeup. After workouts to remove sweat and at night before I go to bed (usually during a bath or shower). This one is gentle and non-stripping but really effective. I can feel my pores being cleaned out with this one which is something I’ve never really actively felt with other cleansers. It’s free of soap, PEG, alcohol, formaldehyde and artificial coloring. It smells like clean honey. Even though it does a thorough job at cleaning this doesn’t dry out the skin. The Honey Drop Lightweight Moisturizer is probably my most favorite new skincare discovery. Moisturizers in general are tricky for my skin type. I have combination skin which is prone to getting oily with extreme heat but it is also prone to getting dried out with air conditioners constantly on everywhere I go. Finding one that is hydrating enough but not heavy has always been a challenge but I have luckily found several that I love. This one is pure love. It has their Echinacea GreenEnvy for hydration. It also has these tiny little Cupcuca Butter Beads you can see inside the product. It melts once it touches the skin to help soften skin. It also includes ingredients to support firmness, elasticity, help reduce water loss and keep the skin looking plum. After putting this to the test I would say it does all of the above for me. Last but not least is the Sleep Tight Firming Night Balm. This is the first time I’ve tried a night time leave-on balm for my face. I wasn’t sure I’d like it as it’s pretty emollient but a little goes a VERY long way. It smooths over the skin nicely and leaves a veil of moisture that surprisingly did not make my face stick to my pillow. I tried using this around 2-3 times a week over the past few weeks. I wake up with smoother and well-rested looking skin. It truly does a good job at keeping skin hydrated and removes any tight feeling you might have from dryness or a strong air conditioner blasting. I only need a tiny bit but you can definitely apply as much as needed depending on your skin type. It’s non-irritating, did not clog pores, doesn’t have a strong scent (it smells natural) so it doesn’t interfere with my sleep. For those who want to try before committing to the full size they have a few amazing travel sets available with minis. I do think their full size products are reasonably priced and think the Honey Potion Mask and Green Clean Meltaway Cleansing Balm are going to be the most versatile regardless of skin type. However The Mighties Set has four of their most popular items in minis. The sizes are large enough to give you a decent sampling of the product. They are also perfect to travel with on shorter trips. There are a couple of other mini sets available on their website as well. Overall I love this line. I have yet to try everything in their lineup but I have been really impressed with what I’ve tried so far. Their products are gentle but effective. I like that they care about their ingredients, the environment and the processes used to make their products. They have a few other face masks I’m really curious to try! Sponsored by Farmacy Beauty. As always all opinions my own.